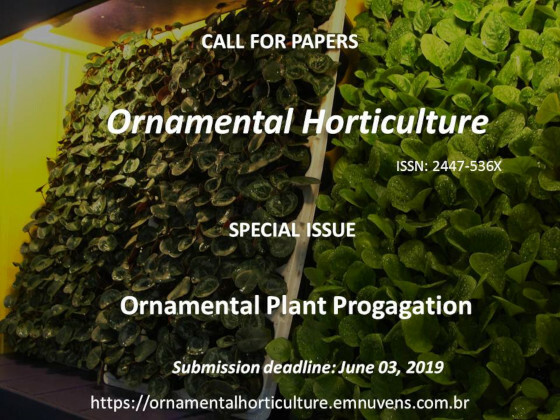 The Journal ORNAMENTAL HORTICULTURE - OH (Revista Brasileira de Horticultura Ornamental) is an official publication of the Brazilian Society for Floriculture and Ornamental Plants (Sociedade Brasileira de Floricultura e Plantas Ornamentais) - SBFPO (http://www.sbfpo.com.br). Short title of the journal: ORNAM. HORTIC.